Saturday is the last day of campaigning for the first phase of polling for 18 assembly seats in Chhattisgarh on Monday. The 'Sanklap Patar' will be released by BJP president Amit Shah on Saturday. In a last attempt to woo voters ahead of the first phase of polling in Chhattisgarh, the ruling BJP will release its "game changer" manifesto on Saturday with special focus on farmers and youth, state Agriculture Minister Brijmohan Agrawal said. The 'Sanklap Patar' will be released by BJP president Amit Shah, Mr Agrawal, who heads the BJP's manifesto drafting committee, said on Friday. The second phase, for the remaining 72 constituencies, will be held on November 20. "It will be a game changer. The manifesto will put forth the vision for a new Chhattisgarh, which will be among the most developed states of the country by 2025," Mr Agrawal said. 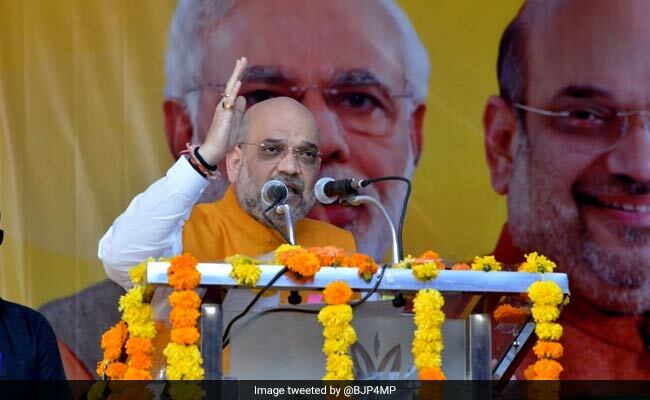 Though he declined to share details of the manifesto, he said it would focus on farmers and youth and has been drafted with guidance from the party's central leadership, including Mr Shah. "In the last one decade or so, the state has emerged as the rice bowl of the country and farmers' incomes have jumped manifold. Our aim is that this should continue in the future as well," he said. Questioned on the delay in releasing the manifesto, Mr Agrawal said the party had reached out to the people with various teams travelling to different parts of the state to seek suggestions. "It is the BJP's document of its commitments to the people," he said. In the last 15 years of the BJP government, the party has set up an ecosystem in the state, where social justice and development are complementary to each other, he said. The party will work with the same agenda in the future as well, he added.